Ideal for switching a service or subpanel from utility to generator power. These economical, code-compliant, single-load transfer switches provide a safe way to feed generator power to a home, office, garage or farm building where the entire circuitry in a main panel or subpanel must be powered by a generator during a power outage. For attenuation convenience of rack-mounted equipment in cabinets and consoles, the AT attenuators are available without mounting plate for rack panel installation. Attractive matte black polycarbonate dial scale overlay with adhesive backing replaces the mounting plate. Includes skirted black knob. Overlay size is 29 sq. (51mm). 100-Amp 2,500-Watt Single Load Manual Transfer Switch Ideal for switching a service or subpanel from utility to generator power. These economical, code-compliant, single-load transfer switches provide a safe way to feed generator power to a home, office, garage or farm building where the entire circuitry in a main panel or subpanel must be powered by a generator during a power outage. 100-Amp 2,500-Watt Single Load Manual Transfer Switch is rated 4.5 out of 5 by 2. Rated 5 out of 5 by WAB1 from Meets code First it is a 25,000 watt = 100 amp X 250 volt transfer switch. Ohms law. I ordered and had it in a week USA to Canada. Installed it and meets electrical code. The on line ordering is quick and efficient. Other items I ordered on line from Home Depot. Are the same they ship almost immediate. can we put break in this panel ? 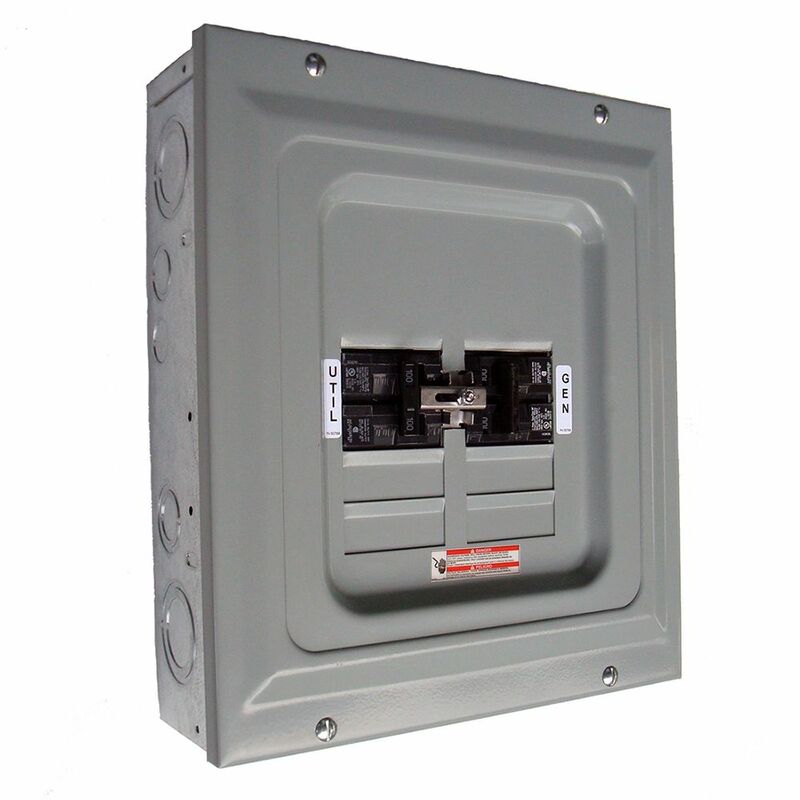 This transfer switch is designed for use with a single load and does not have room for additional breakers. Is this unit approved for service entrance? Electrical code changed this year in Canada. &nbsp;Neutral to ground bonding only happens at the meter or at the top of the mast. &nbsp;Bonding screws in panels are no longer approved code.